QRS Shim Kit 0.5mm - Grip N Rip Racing LLC. Many clutches are misaligned right from the factory. 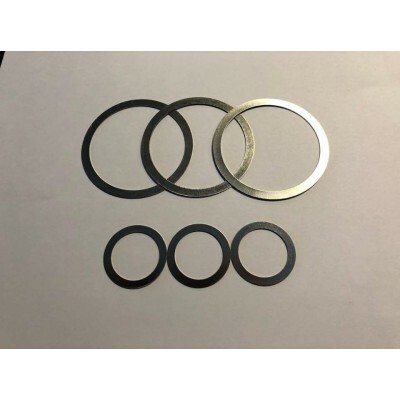 This kit will allow you to shim your QRS driven clutch out using 0.5mm (.020") thick shims. The kit includes 3 of each shim for a total of 1.5mm (.060") of adjustment when stacked. Allows for fine tuning the offset on your sled. Installation is easy and detailed instructions are included. These shims can be stacked. Fits 2008-2018 sleds with QRS secondary clutch.